This site is located in South Africa. Aimed at granite, limestone, basalt, etc. materials. Liming Heavy Industry possesses of systemic solutions. If there is a varied topography, we usually recommend mobile crushing plant. 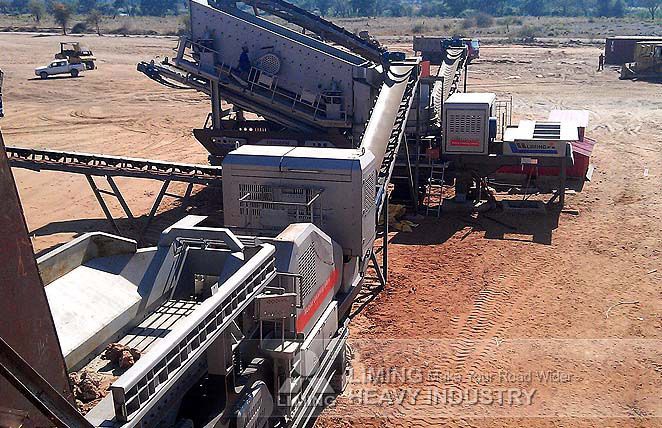 In this production site, YG938E69 and Y3S1848CS75 mobile crusher did good work. The capacity is 80t/h-100t/h and the output size is 0-10mm, 9-20mm, 20-40mm. Contact us Now to find out what we can do for you next project !